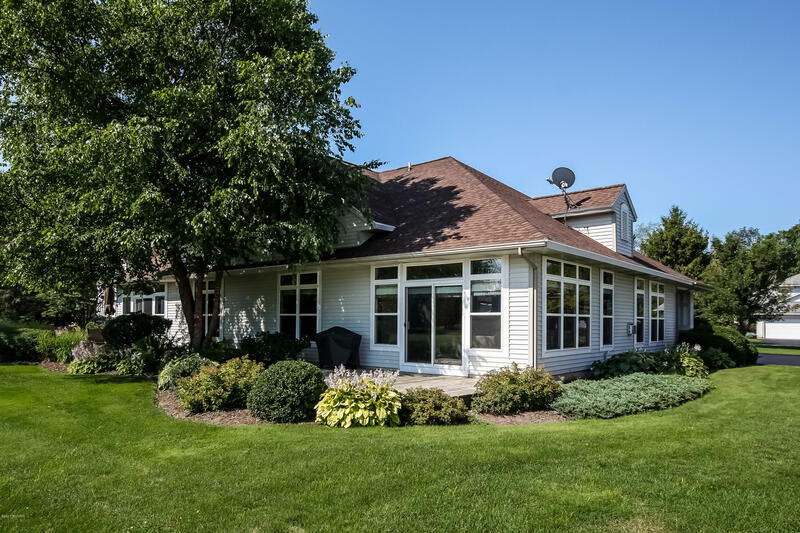 Beautiful end unit condo overlooking the pond and 16th green at Clearbrook Golf Course. Open concept living area with laminate wood floors throughout, crown molding, two way fireplace, large windows to let natural light in and sliders to the deck. The kitchen has a center island, stainless steel appliances and built-in desk. Brand new Silestone counters and tile backsplash just installed. The main level master ensuite features a spacious walk-in closet, shower, soaking tub and double sink vanity. A laundry room, half bath and another bedroom complete the main level. The upper level offers another bedroom ensuite and family room perfect for guests. Park your golf cart in the 3 stall garage with extra cabinet storage. Small pets have been approved by the association.